Some of the highest paid people in the world play for the NFL. The players’ capability to run the ball in the end zone and perform as top athletes helps them keep their job and high salaries. As one of the most popular sports in America, large numbers of attendees helps maintain NFL’s stature. And as part of the income that the stadiums and technically the owners of teams reap, the teammates are paid accordingly. However, there are a few key players who have proved themselves over the years to be irreplaceable and valuable additions to their teams. 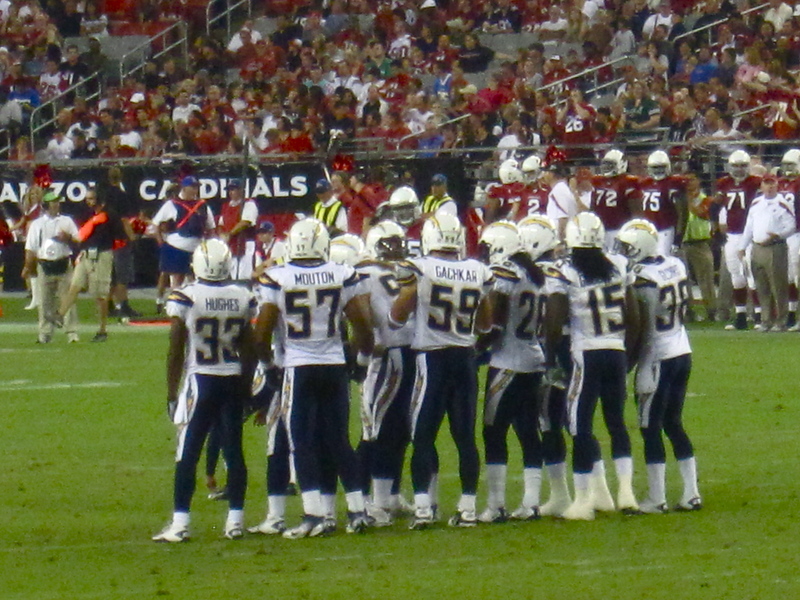 After the lockout ended, many players were renewed their contracts, but others ended their contribution to the Chargers and were traded to different teams. Eric Weddle, the Chargers’ premier safety, was offered another 5-year contract estimated $40 million, $19 million guaranteed. He accepted the new contract, making him the highest paid safety in the league. For a player of Weddle’s caliber, that seems to be a fair amount of money for his playing time. Larry Fitzgerald, the wide receiver for the Arizona Cardinals is another top-notch player that is paid a large amount of money. He renewed an 8-year, $120 million contract with the Cardinals this year. That makes Fitzgerald the highest paid receiver in the NFL. There is no doubt that he is a hard-working, dedicated player when he’s running home and racking up the TDs for the Cards. There are many other players including Colts’ QB Peyton Manning, Patriots’ QB Tom Brady, and Eagles QB Michael Vick who bank over $15.9 million each. Despite their high salaries, those players are out on the field doing their job whole-heartedly. Watching Sunday Night Football is a popular pastime for many Americans, and if there were those key players receiving those paychecks, the NFL would suffer. It just goes to show that money runs the league and couldn’t survive without it. Didn't we all miss this? There are two things that the world revolves around: money and sports. And often times those two go hand-in-hand. Thank goodness the regular NFL season has begun, and many football fans have jumped and shouted over this hurdle. The NFL lockout that occurred for a little over 18 weeks worried the fan base, players and owners. The lockout defined the true economic power that resides over the NFL. It all began when the league owners and the players disputed over labor agreements. There was the possibility of not having a football season this year. The scare of possibly postponing or cancelling the 2011-2012 season altogether seemed as though it worried the fans more than the workers. But the lockdown created a trickle affect that affected deeper into the NFL association. Not only did it affect the players, but it also questioned positions for the coaches, staff, front office, and even the revenue each city would collect from the stadium. Even missing one game would leave the NFL with empty pockets. There is no doubt that the NFL season generates a lot of money, whether it comes from TV stations or the spectators their selves. Has the lockout really affected this year’s season? During this first weekend of the season opener, it seems as though some teams were prepared to do what it takes to leave victorious. Other teams had difficulty when it came to controlling the ball and defeat the opposing team. Now because I am a Chargers fan I can say that the lockout did slow down the speed as to which players would practice, what players to trade and so on. Because of the pace everything was processing at, a few players were waiting for their contracts to settle in order to begin practicing. Starting practice so late, especially for the rookies and recently traded veterans, forced them to learn the plays in a short amount of time. Of course everything worked out, but it was because of hard work and perseverance. The lockout threatened the flow of profits alongside the NFL season. It just goes to show how much economic power that controls the NFL, owners and players.